A finishing mower or finish mower is a perfect substitute for a ride on mower. It is equipped with 3 rotary blades providing a very fine and even cut. Thanks to 4 wheels installed on a mower the grass is always cut at the same height throughout the mowed area. Wheels are not only used for setting cutting height but are also stabilizing mower. Thanks to that finish mowers also have higher ratio of working width to tractor’s horse power and weight than flail or topper mowers. Finish mowers are designed to provide clean, manicured appearance of lawn. Therefore they will not perform well on neglected land with a lot of weeds, brushes and bushes. Finishing mowers should be used on lawns, sports pitches, parks and other well kept green areas. A small tractor with four wheel drive, agricultural tyres and a finishing mower will perform much better than a ride-on mower. The latter has huge problems after rain and on uneven surfaces – its wheels slide on wet grass and often have problems riding up the slopes even on dry ground. A compact tractor with agricultural tyres will perform perfectly well in these conditions and with proper operation will not leave any marks on the ground. Another advantage of such solution is that cutting width of finish mower may reach even up to 6 feet which is almost twice the cutting width of most ride on mowers. This means you’ll finish mowing your land in half the time you would with ride-on mower every single time. Flail mower is used wherever it is necessary to care for green areas, such as lawns in city parks, private properties and football fields. This type of mower is especially recommended for neglected grounds like pastures and roadsides with lots of weeds, bushes and brushes. During work, the flail mower mulches clippings that are afterwards scattered across the lawn. Thanks to the use of this machine, there is no need to collect clippings after mowing. 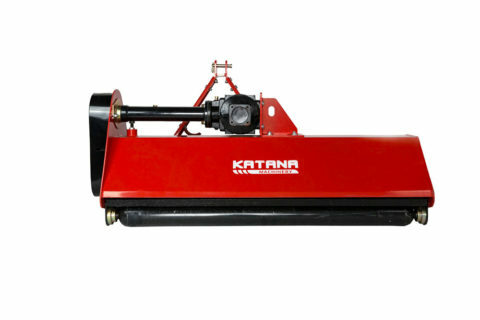 The equipment is diversified in terms of mowing width and additional functionalities such as a basket for collecting clippings or a hydraulic arm that allows mowing at various angles. We highly encourage you to familiarize yourself with our offer. All of our tractor attachments are high quality equipment produced by carefully selected suppliers. Thanks to many years of cooperation with the best manufacturers, we offer top quality mowers that ensure maximum efficiency and long life. Japanese tractors are known for their versatility. They are excellent in all activities related to setting up and taking care of lawns and green areas. Flail mower is the most popular piece of equipment in our offer. More and more people learn about its advantages, because it turns out to be much more efficient than many other mowing systems used by professionals and individuals. Mulchers offer very fine quality of cut similar to the finishing mowers and at the same time they very well replace topper mowers seamlessly dealing with thick weeds or shrubs. 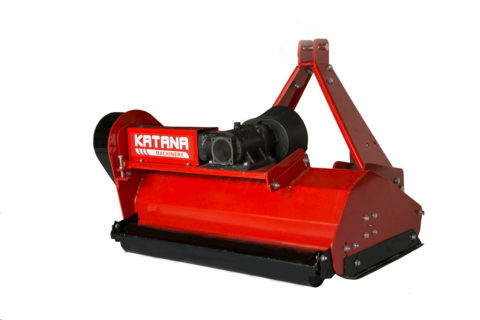 Users also praise the safety of flail mowers because thanks to their design there is almost no danger of stones, debris or other objects being thrown with high speed from beneath the mower. 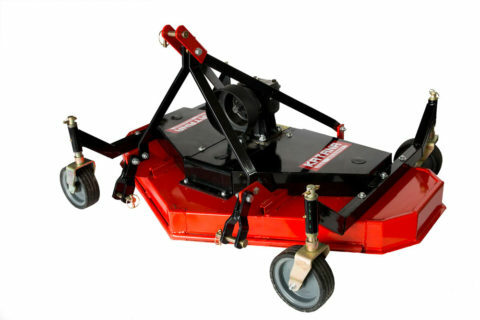 collector flail mower – ensures mowing quality very close to finishing mowers and has a basket for clippings, so the lawn is clean right after mowing. Collector is opened with hydraulic cylinder that is controlled with spool valve. It makes emptying collector easy, convenient and does not require getting off the tractor or any effort. verge flail mower – mounted on a hydraulically controlled arm has all the advantages of a traditional flail mower, while offering mowing in hard-to-reach places. It has 145° mowing angle range from 90 ° vertically to 55 ° below the level of the tractor. 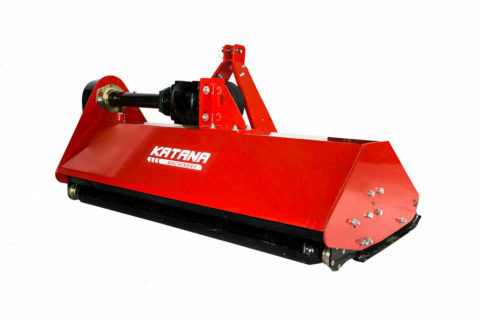 This allows efficient mowing of ditches and verges, as well as trimming short hedges. The arm also allows you to move the mower away from the tractor. This is very useful when mowing grass between trees or poles, where you will not be able to drive through with tractor and a standard mower. Daily practice will quickly convince even skeptics that Japanese mini tractors are a great alternative to many other machines and tools. Thanks to properly selected equipment, you can perform a series of tasks that previously required investment in separate equipment. It is worth appreciating the ingenuity of engineers from the Land of the Rising Sun, who created small, agile vehicles with such a huge potential. Tractor mower will help in the work of municipal services, gardeners, farmers, fruit farmers and many others.